This music club fashions itself has a 'club for people who don't like clubs'. It used to only function as a club and only open at midnight once but now it opens just a little after noon. In the daytime it's a pub. If the weather is nice the party is on the terrace. Being close to University Square makes it an excellent place for Bucharest's alternative culture. You can smoke in the garden. 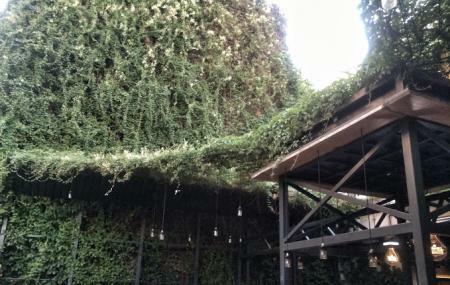 The loveliest part is the green and leafy courtyard. You can get food at the attached restaurant called Alt Shift. By Metro M2 stop Universitate. How popular is Control Club? People normally club together Bucharest Zoo and Old Town while planning their visit to Control Club. Cool club. Two bar/dance areas and a great outside space. It was a busy, but friendly vibe. If there would be a rating of -5, I would rate that. It is good for nothing to go there. Neither nice music, nice environment neither staff. Good location to go out on a Saturday night. The music is nice and a drinks are reasonable priced. Looking forward to my next visit.